At least two new commercials have entered the cycle on CBS. These new Big Brother 11 commercials are promoting the summer’s “guilty pleasure” of Big Brother. The summer’s guilty pleasure, Big Brother, is back. C’mon y’all. 12 strangers. 1 house. No contact with the outside world. C’mon y’all. Cameras record their every move, 24/7. A voyeuristic hoot. It’s gonna get wild. And once a week, someone will be evicted. It’s a new season with even crazier twists and even more outrageous stunts. Check in for the summer with Big Brother. Premiers July 9th only on CBS. Big Brother is back. C’mon y’all. It’s a new season with crazier twists and more outrageous stunts. 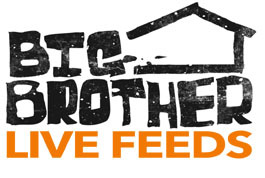 The new Big Brother premiers Thursday, July 9th on CBS. First Sight of New House in BB11 Commercial? WeLoveBigBrother.com is again taking you inside the Big Brother backyard on finale night, asking this season’s houseguests your burning questions.